Headshots are a part of many violent videogames but could they actually make you a real-life sniper? Believe it or not, those hours of videogame playing may just improve your shot. 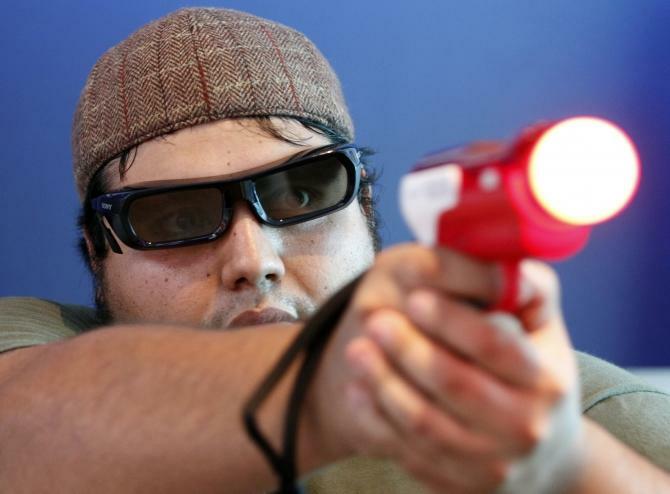 Shooting-based videogames may not only make you more accurate but more deadly. Many of these shooters reward players for shooting the head of enemies. This kind of reward system paid off in real life as violent videogame players were more accurate and targeted the head more than non-violent videogame players. The study was led by Jodi L. Whitaker and Brad J. Bushman from the Ohio State University School of Communication. The study involved 151 college students and divided them into two groups, one group played violent videogames while the second group played non-violent videogames for 20 minutes. After the 20 minute videogame session, the 151 college students fired 16 bullets from a pistol-shaped controller. The violent videogame players were 33 percent more accurate than non-violent videogame players. In addition to increased accuracy, violent videogame players hit the target’s head 99 percent more often than non-violent videogame players. After adjusting for previous gun experience, gun use attitudes, exposure to videogames and aggressiveness of the individual player, the violent videogame players were still more accurate and hit the head more than the non-violent videogame players. Researchers believe the reward system of the violent videogames played a role in targeting the head. Videogame players can unlock achievements or gain virtual trophies for things like the number of headshots completed in the game. Videogames can be effective learning tools, note researchers, and can be used to provide feedback or reinforce behaviors. Previous studies have shown videogames to be effective in improving visual-spatial attention as well as hand-eye coordination. For something like shooting a gun, violent videogame players may be more comfortable understanding the concepts of firing a weapon. Using a gun-shaped controller and using sights to aim and hit an enemy in a videogame is common and necessary for advancement in the level. The study does not conclude that violent videogames create violent individuals but it does highlight how effective videogames can be as teaching tools. Future research can also compare head targeting between violent videogames that reward headshots and violent videogames that do not reward headshots. Researchers believe that as videogames become more advanced and graphics become more realistic, accuracy and targeting the head should also increase. The study was published in Communication Research.